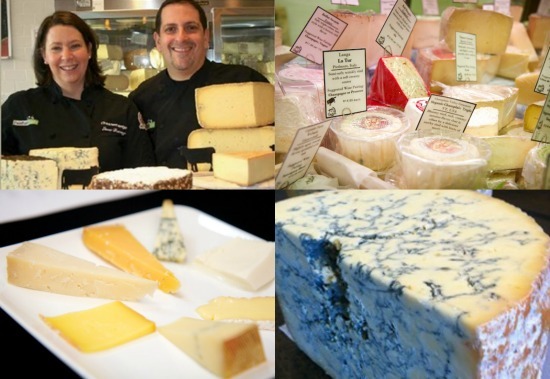 Laura Downey and Chris Palumbo, co-owners of Fairfield Cheese Company, will open Greenwich Cheese Company at 154 East Putnam Avenue in the Cos Cob section of Greenwich, CT, December 11, 2014. Education has always played a major part in what Laura and Chris bring to the table. Greenwich Cheese Company will be offering a series of cheese classes and private tastings, furthering enhancing one’s experience. Did you know that artisan small batch handmade cheese has a lot of variation? When cheese isn't mass produced everything affects the final product - terroir, animal breed, seasons, what the animals eat and when, etc… It makes the artisan cheese world exciting and never boring. This is why tasting and trying cheese is so important. “Never buy artisan cheese unless you can taste it,”implores Laura.